Welcome to Bannvale Credit Union. We look at things differently. 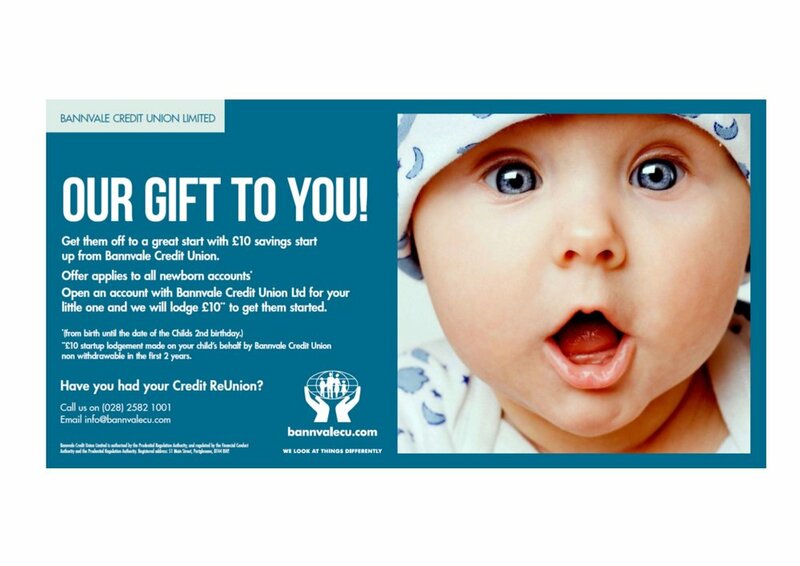 Why borrow from your Credit Union? Over the last 16 years we have paid a rebate on the loans our members have taken with us. This rebate (although varies year to year) for 2017 was 35%. That means you get 35% of the interest you have paid on your loan back into your account. *Subject to terms and conditions. Please ask staff for full details. Flexible repayment terms to suit your particular circumstances. You can repay the loan earlier with no penalty. Freedom to make larger repayments than agreed with no penalty. Why is saving with Bannvale Credit Union better? Regular saving with Bannvale Credit Union is an even better idea. At Bannvale Credit Union you’re not just a customer, you’re a member of a successful financial co-operative. Each share you hold in Bannvale Credit Union is equal to £1. There is a 50p entrance fee and you will need to hold a minimum savings of £20. Members enjoy equal rights to vote, (one member, one vote) and participate in decisions affecting the credit union. Bannvale Credit Union declares a dividend at the end of every financial year and each share you hold is eligible for a dividend. The more shares you have, the greater the dividend you will receive. That's Savings & Loans with a cherry on top! While dividends and rebates are not guaranteed and are dependent on the overall annual performance of the Credit Union, for the year ended September 2017, BCU was able to pay out a dividend of 0.75% on shares and a loan interest rebate of 35%. (Which means for every £100 of loan interest paid by the member £35 was repaid) Loan interest rebate, where allocated, can significantly reduce the cost of borrowing from Bannvale Credit Union).